News: Now Offering Mini Tours Regularly! Great news! My mini blog tours were such as hit I've decided to add them to the menu of regularly offered services. $50 for 5-7 stops with all the bells and whistles of a full-size blog tour! New Fall Promo! Book Blitz & Review Query Package for Only $65 (Actual Value $110) Book Today! New month, new deal! For a limited time, I'm offering an unbelivable deal on a custom package that includes a 1 day, or 1 week-long book blitz PLUS my "Review Query" service for only $65! Exciting news! 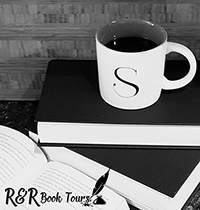 R&R Book Tours has added new services for authors and of course, at amazing rates! Check it out! Spring hasn't exactly sprung yet but there's no reason why you can't get ready for it! Save 20% on all book promotional events!